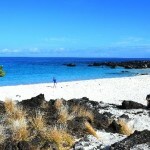 Wet Rock Diving’s Hawaii-home, Kailua-Kona, ranked #1 US Destination on the Rise for 2013 by TripAdvisor. Come visit us this winter! This entry was posted in Kona Hawaii, Travel and tagged Kona, Press by Mer. Bookmark the permalink.